Lisa's challenge is to make a card/project that features prayer; either someone praying, or a verse about prayer, or a greeting that lets someone know you are praying for them. This is my favorite kind of card to send! There's something so special about receiving a card telling you someone is praying for you! You just know it's not just empty words if they took the time to send you a little note letting you know you are in their prayers. So this was a challenge I loved doing! Layers of Color is this week's Sponsor, and the Flutterescent clear art stamp set is what Laura will be giving away! So to show a little something different to do with these wonderful butterflies, I stamped two of them onto acetate with Stazon ink, then colored on the back with Copics. I cut them out, bent the wings a little bit, and then added copper stickles to the spots. The photo doesn't do this technique justice, but if you try it I know you will love the look! I love today's passage of Scripture for many reasons.... one of the things that stands out the most is how it's not just a list of "please do this" items.... it hallows God's name, it asks for His will to be done on earth.... just as it is in heaven... have you ever pondered that? Prayer is a lot less about our wish list and a whole lot more about glorifying the God of the ages, and often involves bringing our will into line with His! Does this mean we don't bring our intercessions to Him? No! I truly believe intercession for others is a ministry in itself and an important one! Many places in Scripture tell us that God does hear and answer our prayers! I'm just saying... while we are asking God to answer our requests... lets be sure we are honoring Him first and foremost... and are praying for His will even if it is not what we are wanting at the moment, because we know that He has promised to work all things together for good to those who love Him and are called to His purpose (will). Sometimes His ways are not our ways, but as we pray the way Jesus taught in this prayer, we are learning to yield our wills to His perfect will. When we are in His perfect will, we know that He will work all things together for good! It's so simple, yet so difficult to do sometimes! Ultimately, prayer is all about relationship.... our relationship with our Father in heaven... Abba Father. What a priviledge it is to be able to enter into the holy of holies with our worship, our praise, our confession and our requests! Have a blessed week and I hope you are able to spend some special time in prayer today! This is stunning Grace!! I so love your colors and all the sparkle!! Gorgeous layout and butterfly!! So elegant and exquisite my friend. I hope you rid yourself of the headache and had a good time with Al! WOW - your cards never cease to amaze me! They are always beautiful! Love your words of wisdom too! l have just become a follower of your very inspirational and beautiful blog. l have signed your guest book too and l will be back for another visit soon ! The card is stunning and l love what you done with the butterfly ! Grace this is amazing! What a beautiful card hun! All of your elements are so gorgeous...especially those beautiful butterflies! WOW truly stunning! Thanks for joining us at WOC! Grace this is so pretty. I love the way you used the acetate. It is perfect for those butterflies.. Looks wonderful..Hope you have a great Sunday. Grace this is stunning , love how you did the butterfly on acetate. Wonderful gleaming from the verse today. Have a fabulous day. Thanks so much for sharing another great card for us at For Fun. I really love the butterfly's you did an awesome job on them. Lovin' those acetate butterflies!!! Beautiful card, my friend! Thanks for a wonderful post today, as always. I enjoy reading your words of wisdom each week! Hope your headache gets better! STUNNING GRACE, WOW those colors and butterflies are soooo beautiful!!! LOVE THIS!!! Its a gorgeous card Grace, beautifully embellished. 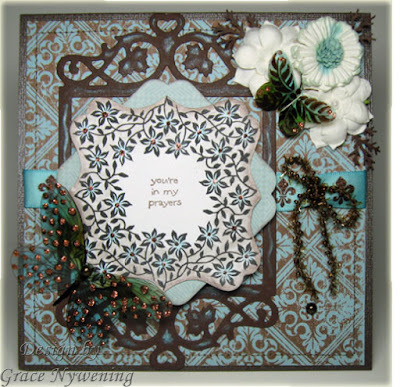 Thanks for taking part in this weeks Sweet Stampin Challenge! Grace, this is absolutely GORGEOUS!! 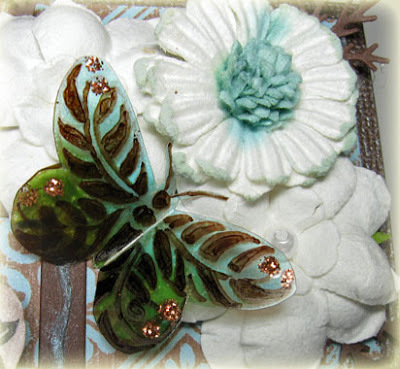 Love the new sets by LOC and love the way you colored and glitzed up those butterflies. What a marvelous and exquisite piece of art! =) Miss ya my friend. Your card is SO gorgeous, Grace! I love your unique technique with the butterflies! Beautiful creations! But your spiritual insight makes this post beautiful, not just a beauty to be seen by the eye. God is so glorified through you, my friend! Hi grace! *waves* What a gorgeous card! so elegant and I just adore all the special details. So beautiful! 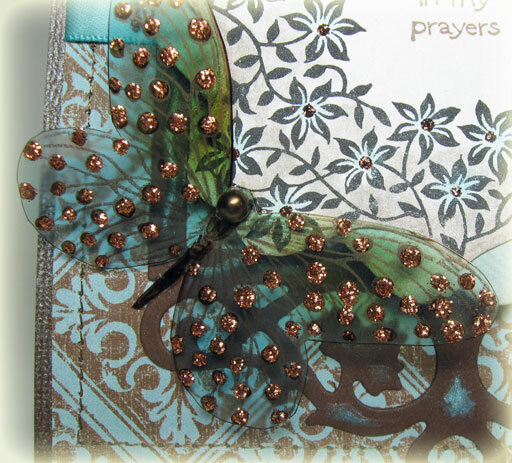 This is gorgeous Grace...love the way you did the butterflies and the colors are so pretty. Stunning design and encouraging post my friend! He certainly answers our prayers in His perfect time, whether it is yes, no or wait! Wow, this is just beautiful. I love all the flowers around your sentiment and the butterflies are just great. WOW Grace ... this is just stunning!! Thanks for joining us at The Sisterhood! Hope to see you again next challenge!